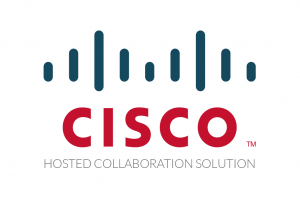 C&W Business Launched Hosted Collaboration Solution (HCS) On Demand Last Year At Cisco Live! C&W Business, part of C&W Communications (C&W), one of the largest full service communications and entertainment providers in the Caribbean and Latin America region, now owned by Liberty Global (LiLAC Group), launched Hosted Collaboration Solution (HCS) on Demand, a managed Unified Collaboration Service, at Cisco Live last year. Cisco Live is one of the main IT conferences in the Latin America region and typically draws more than 5,500 customers, experts, and partners from different business segments and levels. Cisco Live! was held on November 7-10 last year in Cancun, Mexico, and C&W Business was present at booth #506 and showcased live demos of its next-generation platform, HCS on Demand. The launch of HCS on Demand, powered by Cisco, was a managed unified collaboration platform that enables customers in 24 countries across the Caribbean and Latin America to leverage a full suite of IP-enabled collaboration tools. HCS on Demand is hosted by C&W Business at their data centers and is delivered to customers over the Company’s world-class, SIP-enabled fiber IP (terrestrial and submarine) and fault-tolerant network. This network encompasses over 42,000 kilometers (26,000 miles) of fiber across the Caribbean and Latin America and is the only MEF CE 2.0 certified network across the region, allowing C&W Business to deliver highly secure and reliable data, voice, and video services efficiently to its customers. “C&W Business HCS on Demand helps accelerate customers’ day-to-day business processes, helping achieve better and faster business outcomes across the region. Customers don’t have to worry about burdening their IT staff with the effort to deploy and operate their own PBX or UCC platform. Customers only pay for what they need, with no upfront costs, making unified communications more affordable and the costs more predictable in a fixed monthly service charge per user,” said Daniel Peiretti, SVP Product Development and Management, C&W Business. “Our HCS on Demand solution is secure, offers strong SLA’s, and is supported by a business-class infrastructure with a certified team that uses a simplified deployment model. We have our customers up and running in no time, from anywhere, anytime, and from any device,” added Peiretti. As a Cisco Master Managed Service Provider, C&W Business utilizes its highly secure and connected fabric of datacenters to deliver the most comprehensive, integrated solutions for clients. This crucial element enables clients to have a single point of contact, avoiding the challenge of managing multiple vendors. In addition, business applications and unified communication applications are hosted in the same datacenter significantly reducing latency and enhancing data security. Voice and video communications, mobility, messaging, presence, web and video conferencing, and a contact center. Access to cloud-based resources in a fast and easy way so customers can get up and running faster than with traditional models. Ability to easily ramp up or down to address seasonal needs. Customers most likely to benefit from this solution are those with a need for enhanced remote worker integration, mobility, cost reduction, reduced travel cost, simplified user experience, accelerated decision making, improved customer service, and better work-life balance for its employees. In addition, existing Cisco collaboration customers can migrate their “on premises” solution into this cloud and maintain their investment in licensing.